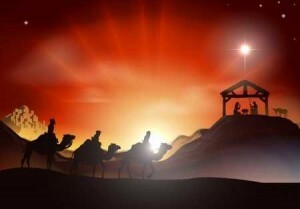 Was Jesus Born On Christmas Day (December 25th)? Should This Matter To Christians? Many Christians celebrate Christmas but many others don’t. Was Jesus born on December 25th? Does it matter? Should it matter to Christians? I once knew a man who actually forgot the day of his anniversary. One day he was sitting at the kitchen table and his wife asked him “Do you know what day it is?” He said, sure, and kissed his wife goodbye and went to work but when he came home he had a dozen red roses and a box of chocolates. His wife was puzzled and asked what the flowers and candy were for and he asked, “Isn’t it our anniversary?” She said “No, I just wanted to make sure that you knew to take the trash can to the curb because it was trash day.” This is a fictional story, as you can tell, but my point is that just because we don’t know the exact day of Christ’s birthday is no reason why we shouldn’t celebrate it. The Bible neither commands us to celebrate His birthday nor tells us to not celebrate it. The Bible is also silent on the actual day of His birth but it appears that it may be in the late fall or early winter since shepherds were still abiding in the fields and shepherds were not likely to be out in the fields near the end of December (Luke 2:8). What if you forgot your own spouse’s birthdate or maybe forgot the date of your child’s birth. Would you still not celebrate it? Just because you couldn’t remember the date doesn’t mean that you shouldn’t celebrate it. Jesus was not actually “born” in the literal sense anyway because He has always existed. Christmas is not so much about celebrating Jesus’ birthday as it is Jesus’ arrival on earth…His becoming a Man…which is why He is called Immanuel in some places in the Old Testament. Immanuel was prophesied to come and has now come some 2,000 years ago. He is called Immanuel because this name means “God with us” and God was with us in the form of Jesus (John 1). Jesus told Thomas who had just asked Him to see God that if you have seen Me, you have seen the Father which means that you have seen God (John 14:8). Seeing Jesus is the same as seeing God because Jesus is God. Here again is why we celebrate Jesus Christ at Christmas. We celebrate the Person of Christ. We do not celebrate December 25th but we celebrate the God-Man and His arrival on earth! My own mother did not even know the date of her own birth. Her mother, my grandmother, was a very harsh woman…probably because she was treated very harshly. My mother’s mom didn’t celebrate my mother’s birthday and because she had lost her birth certificate many years ago, she didn’t know the exact date of her birthday. She went to be with the Lord many years ago but the only thing she knew about her birthday was that it was sometime in February. She had no clue about which day in February it was so we children just picked out a date and celebrated that day as her birthday. It wasn’t about the exact date of her birth as being the reason that we celebrated her birthday but the fact of her being born in the first place. We were celebrating her and not a date. That is what we celebrate. Even humanly speaking, we celebrate the person and not a date on the calendar! We celebrated my late mother’s birthday because of who she was, not because of what any date meant. I once had a man tell me that if I celebrated Christmas then I had received the mark of the beast because Santa is part of this “pagan holiday.” He told me that December 25th was the date of an ancient pagan feast and that we shouldn’t celebrate that pagan feast by observing Christmas. He said that if you rearranged the letters of Santa you could spell Satan. I said that if I rearranged the letters of his name I could come up with something ridiculous so rearranging the letters of Santa means nothing, besides we don’t celebrate Santa Claus at our house…we celebrate Jesus Christ. I asked him if he was married to which he said yes. I saw that he was wearing a wedding ring. I told him that the wedding ring was an ancient pagan symbol and that by his own reasoning, he was celebrating a pagan ritual by wearing it. I insisted that the reason we celebrate Christmas is not that we are celebrating an actual birthday or date but we are celebrating the day of Christ’s arrival as a human being in which He was born to live out a sinless life as a human, that He would become sin for us, and that He would die for us so that we might have eternal life. It is not the Baby Jesus’ birthday that we are celebrating but we are celebrating that day of Jesus’ coming into the world to make it possible that we might be able to have our sins forgiven and to live with God in eternal joy and bliss. Here again is why we celebrate Jesus Christ at Christmas. We celebrate the Person of Christ. We do not celebrate December 25th but we celebrate the God-Man and His arrival on earth! We celebrated that He entered into humanity for humanity’s sake. We celebrate Jesus on Christmas Day not because of when He came to earth but we celebrate Christmas Day because He did come to earth to break down the wall of separation between God and man that sin had erected. We don’t really know the exact date of Christ’s return any more than we do the day of His human birth. It appears highly unlikely that Jesus was born on December 25th but should this really prohibit Christians from celebrating His coming as the babe in the manger? The Bible doesn’t say that we should or should not celebrate His birthday but neither does it say that we should or should not celebrate wedding anniversaries or birthdays but that doesn’t mean its sin if we do. Those things that are clearly revealed in the Bible as sin are things that we know we shouldn’t do and those things that we know that we should do that are clearly revealed in the Bible are things that we clearly know that we should do, but where the Bible is silent, so must I be and the Bible is silent on Jesus’ actual birthday and whether we can celebrate it or not…so why not celebrate it? He is the reason for the season. Besides, we are actually celebrating the God-Man’s arrival and not celebrating just a date on the calendar. Merry Christmas Jack, I love you for sharing the word, its been a long short year :)God bless your family and us all this festive season and grant us our heart desires . Enjoy. Thank you so much my friend and may God richly bless you in the coming year. Two years ago on Friday 14th December 2014 at 9pm when I was 21 years old, I got down on my knees and I cried out to the Lord that night. I was seeking Him in a way I’d never done before & asked Him to forgive me of all my sins and mistakes. After this, I felt a soft tingling in every part of my body and before I knew it, I was totally forgiven & set free! If Jesus was never born, we’d have no death & resurrection. If we had no death & resurrection, there’d be no salvation. But as I gave my life to the Lord at the time we celebrate His birth, Jesus truly is the Reason for the Christmas season! Thank you again for the article Jack. I hope you & the family have a very Happy Christmas and a blessed 2015! God Bless yous sir! What an encouraging comment my brother Danny. Wow. You really know how to make a person feel good but truly God is worthy of all praise, honor, glory and deserves full credit, as you already know. I believe that we celebrate Christmas, for the greatest part, about the incarnation of God becoming man so that He might redeem mankind. God is so good to die for those of us who are sinners and were enemies of His (Rom 5:8, 10) but we now have peace with God (Rom 5:1) only because the Father placed His wrath upon Jesus for our sake. How good He is! Amen. Very good explanation brother. Praise the Lord and God bless you and your family members.